Water was nice and clear, and suprisingly low for all the rain during the week. Caught 8 in an hour. Four were dinks, including a little brownie. Kept these 4. Nice stockers ranging from 13"-15". 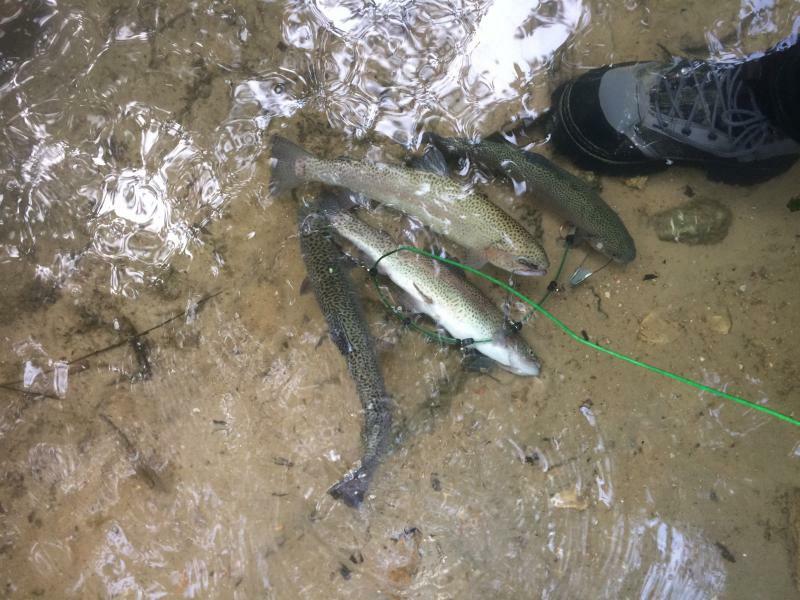 All caught floating trout magnets.